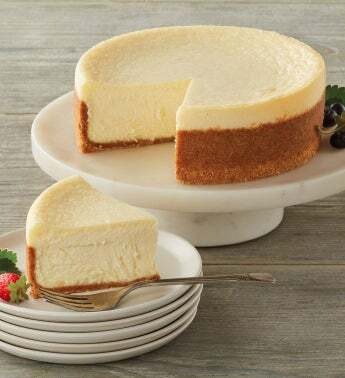 The Original Cheesecake from The Cheesecake Factory® dates back to the late 1940s, when Evelyn Overton made a cheesecake for her husband's boss. He liked it so much that he asked Evelyn to make a dozen more that he could give as Christmas gifts. That's when Evelyn had the idea of opening a cheesecake shop. Today, the Original Cheesecake is as tasty as that first one Evelyn made. With a crust of crushed graham crackers and a delicious, creamy filling, this cheesecake is simple but extravagant. And you can taste the tradition and attention to quality in every bite. Have this cheesecake delivered to you, and you'll understand just what we mean.